Introduction: This entry was originally posted at 1HeckOfAGuy.com, the predecessor of AllanShowalter.com to mark the death of Mary Travers, the female vocalist of Peter, Paul & Mary. Mary Travers died Sept 16, 2009 of leukemia, diagnosed five years earlier. 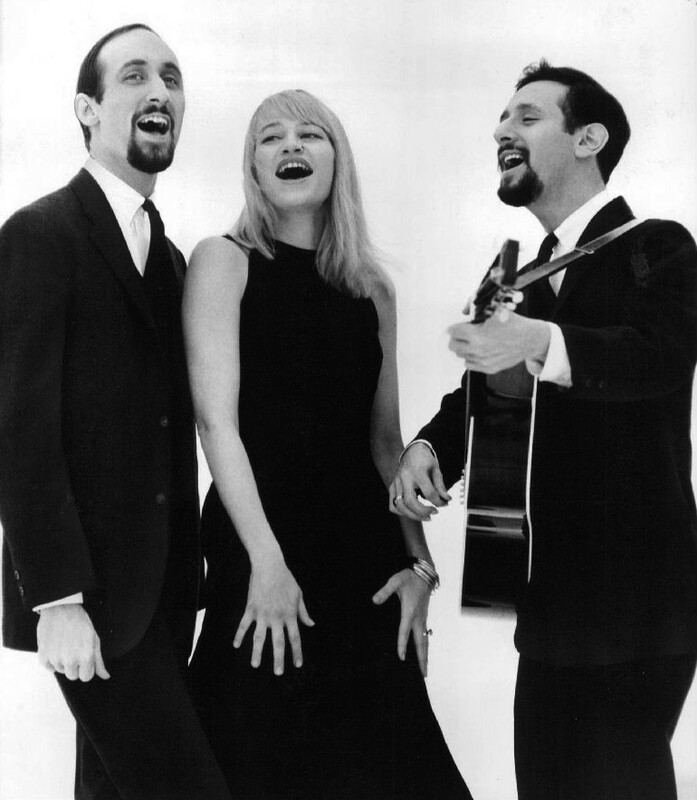 I hadn’t intended to post about the death of Mary Travers today, but an email from a friend with a link to a couple of videos of songs she, Peter Yarrow, and Noel “Paul” Stookey performed reminded me how important their music was to me. Bedazzled, bedraggled, and befuddled, I left Julie and Wichita Falls to travel to my parents’ home where I had arranged to visit and spend the night before returning to Chicago. The trip from Julie’s apartment to the airport had been anxiety provoking because Julie, who had driven that route many times without a problem, had made a wrong turn that had taken us several miles out of our way. The trip had also been tearful, both of us plainly heartbroken about separating after the astonishing experience of being together the preceding 60 hours, and neither of us certain about the future. It didn’t help that when we were within ten minutes of the airport the car radio began playing the sweetly sappy Peter, Paul, and Mary version of Leaving On A Jet Plane. By the time I reached my hometown, I was still disappointed over the prospect that my romance with Julie might not extend beyond our one weekend together and still unsure about what would happen next but had reached two conclusions. I had decided that, regardless of what happened between Julie and me, I would not continue to be part of an unhappy marriage and began making concrete plans for a divorce. I had also resolved that, while I was uncertain about the specific course to follow, I would do whatever possible to persuade Julie to live with me – that the risk lay in doing too little rather than too much. This 1969 rendition features a guest appearance by John Denver, who wrote the song. Mary Travers’ voice, That song, your story, together become a golden flame holding back the night. Thank you Dr Heck of a Guy, for being you and for being a candle in the dark.